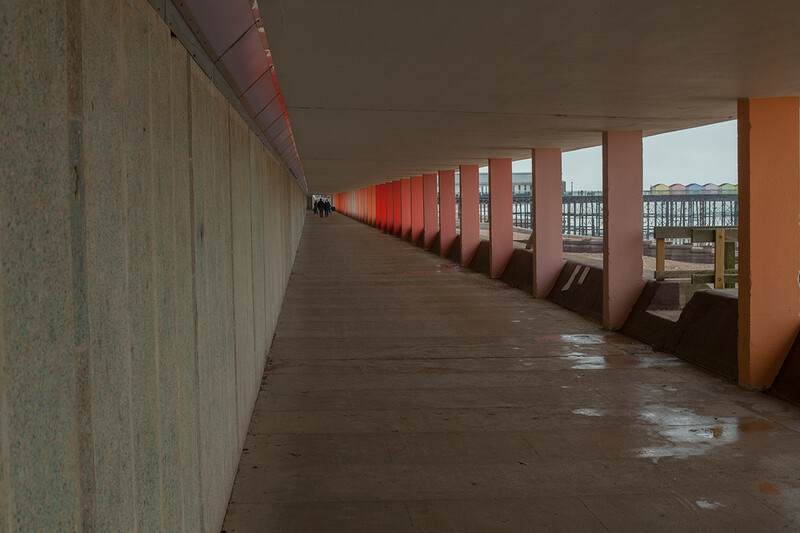 ‘WaveLength’ is the second project for us in Bottle Alley, along Hastings seafront, and what started as a temporary commission from the arts festival ‘Coastal Currents’ in September 2017 is now a permanent fixture due to the overwhelmingly positive public response. 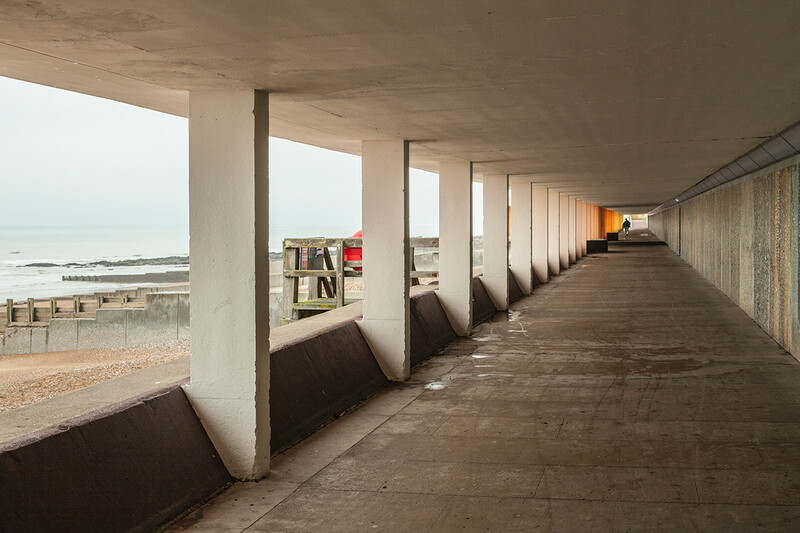 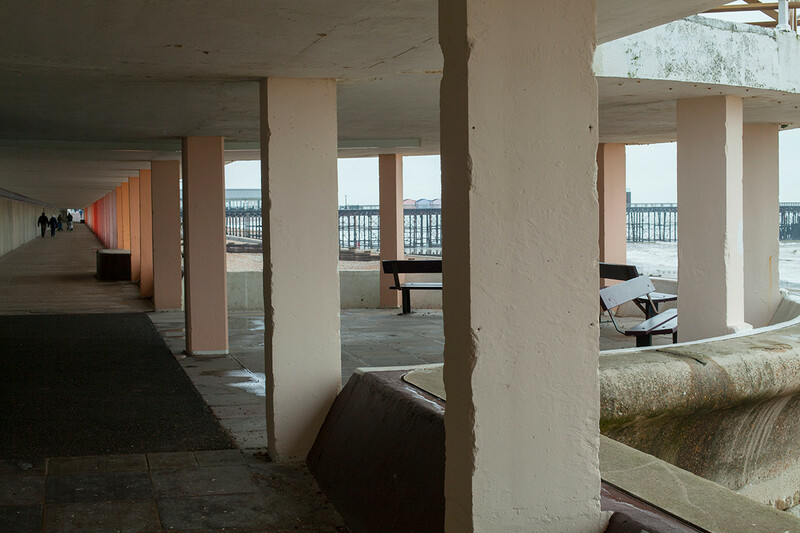 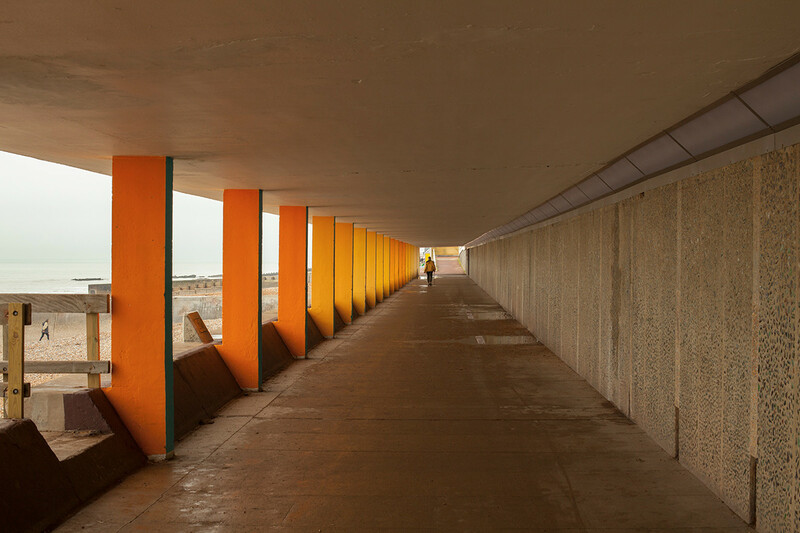 The first project ‘Point of Decay’ highlighted the decline of the walkway after years of neglect, ‘WaveLength’ comes after the repairs and serves as a celebration. 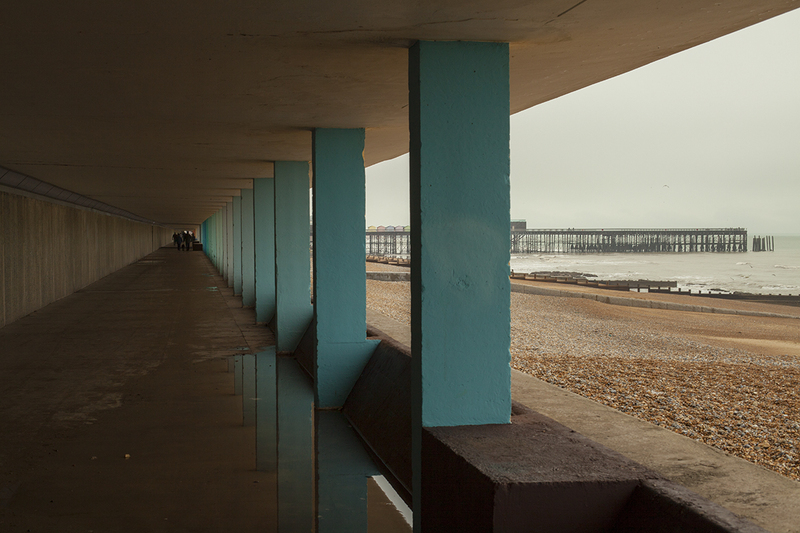 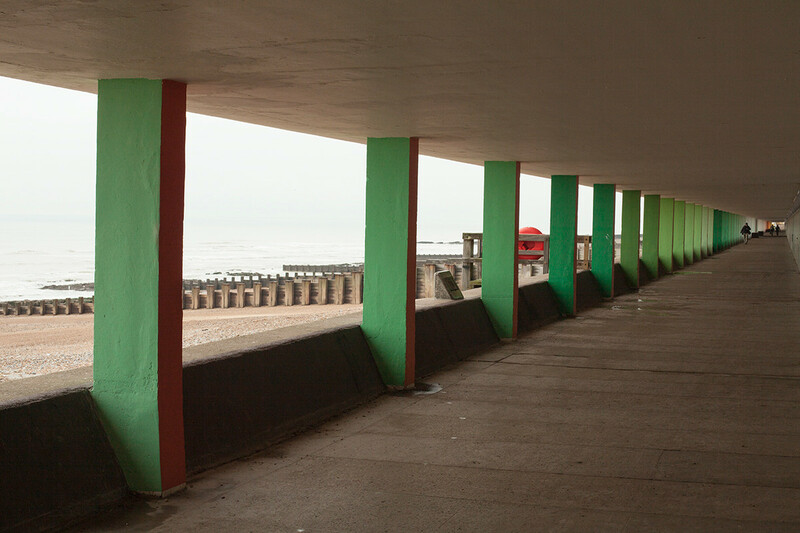 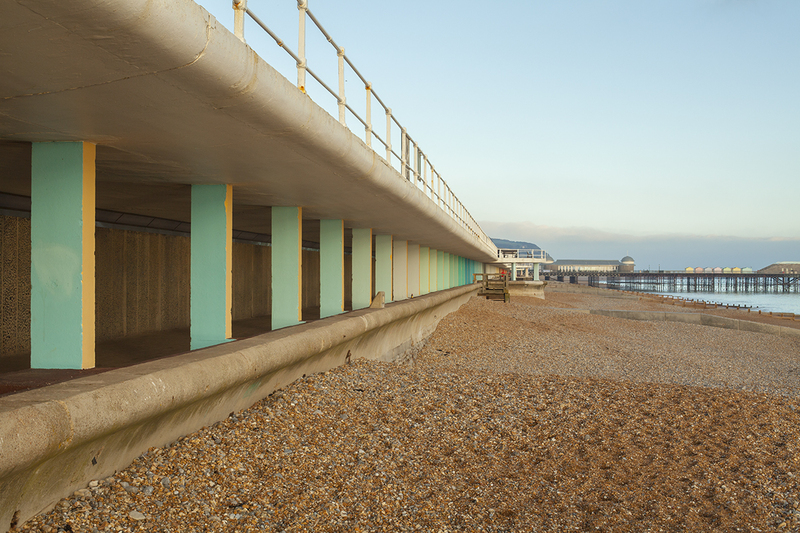 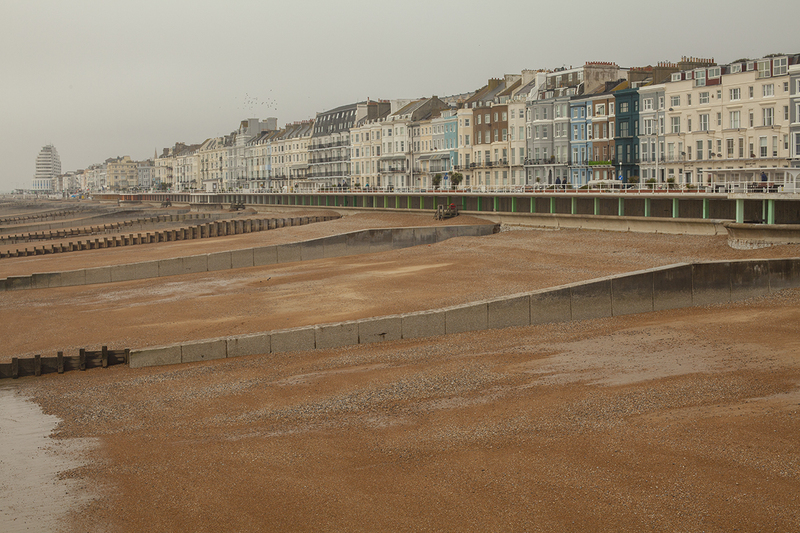 The 113 columns along the 440m passage were painted to create two gradients east > west (Hastings to St.Leonards) and west > east (St.Leonards to Hastings) using a palette of 110 colours. 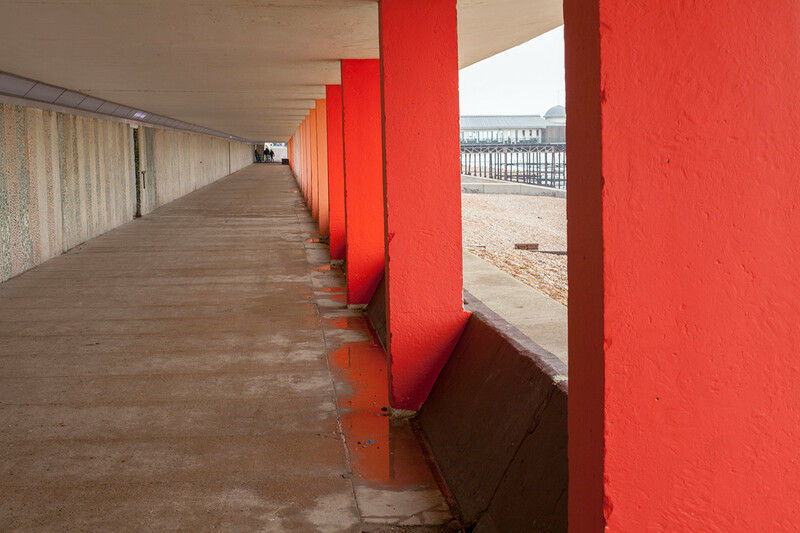 The project is an exploration of rhythm and colour in a unique space, referencing the environment in which it sits.